Ready for a change? If you’re like us, you want to eat healthier and feel great. Creamers can help. But don’t take it from us—listen to the science. Little Potatoes are not only more nutritious than many traditional green vegetables, they’re low-cal—and free of fat, sodium and gluten. Somewhere along the line, potatoes got an undeserved bad rap as a fattening food for those watching their waistlines to avoid. That’s just not true! 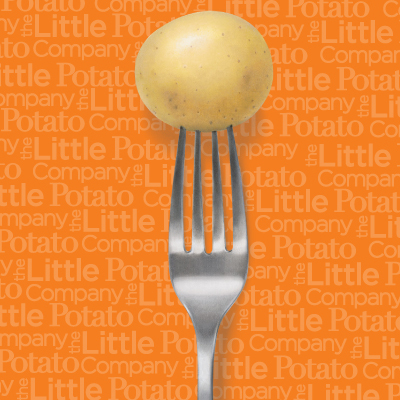 The fact is one Little Potato has only 20 calories*, but leaves you feeling pleasantly full, thanks to its high fiber content. So if you’re working to get back on track—and fit into your favorite skinny jeans again—make Creamers a staple in your meal planning. Here’s another case in point: Dr. Atkins’ low-carb, fat-burning diet, which millions of dieters have followed successfully to shed pounds, includes potatoes on its “Do Eat” list. Why? First, potatoes stay in your digestive system longer, leaving you feeling sated. Second, when you eat something high in fiber, carbohydrate or protein, your lower intestine releases a hormone telling your brain it’s time to stop eating; then your stomach actually expands, sending another signal that you are happy and sated. Translation: you’re more likely to eat less and less likely to reach for that leftover Christmas fudge. What can make Little Potatoes high-cal is what we put on them—i.e., sour cream, butter, bacon bits or loads of cheese—and how we prepare them. Not surprisingly, fried potatoes and French Fries are poor choices for weight watchers. On the other hand, grilled, roasted, baked and microwaved Little Potatoes are a terrific choice: delicious and naturally creamy tasting on their own. There are hundreds of recipes on how best to prepare them. Here’s one top-rated dish: Chimichurri Roasted Potato & Chicken (233 calories per serving, plus easy clean-up). For other nutritious, calorie-wise dish ideas, peruse our Healthy Eating Pinterest page.